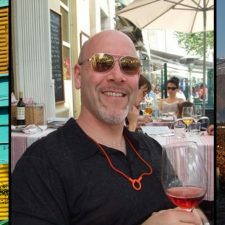 In the wineries, in the press, at wine tastings, one question reverberates around the glass: what is the difference between the terroirs of Argentina and the rest of the world? 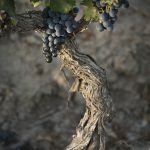 The question is as wide as it is elusive, because in every region, every micro-terroir, Argentina has an answer to give. 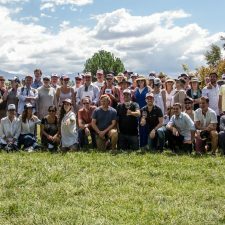 With the majority of terroirs located in a strip of desert at the foot of the Andes, at first glance Argentina seems like a homogeneous country. However, this strip of desert has incredibly variable altitudes, ranging from 600 meters above sea level in the east of Mendoza and the Tulum Valley in San Juan, to 1600m in the Uco Valley and Pedernal, in the provinces of Mendoza and San Juan, respectively. Thus, in addressing the terroirs of Argentina, it is best to put them in contrast by their altitude. Pedernal and the Uco Valley are very similar to each other. The reason for this is that at a similar altitude – with every 100 linear meters of ascent, the average temperature drops by almost 1ºC-, they have more in common with each other if they are compared with other twin latitudinal regions, but at very different heights, as with the East of Mendoza and Tulum in San Juan. And if until recently there was only talk of the wines from Mendoza and San Juan, the reality in the glass compels us to break them up, not only into political units but into specific terroirs. It is in the contrast of details that the major differences lie. And to these details is where we now turn. 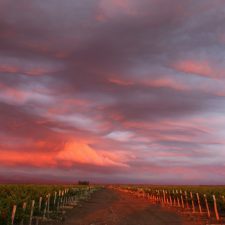 Southwest of the city of Mendoza and nestled at the foot of the Andes mountains, the Uco Valley is today one of the most promising places for Argentine wine. With some 26,700 hectares planted with vines, between 900 and 1400 meters of altitude, it is a region of flourishing revival which started in the 1990s, when the vineyards began to ascend towards the slopes of the hills hand in hand with drip irrigation systems. 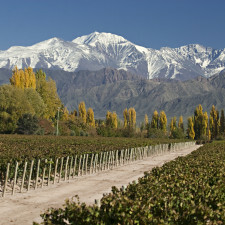 Since 2002 the vineyards of the Uco Valley have grown by 84%, with Malbec taking up almost half of the surface area. This gradual ascent made the Uco Valley a rare terroir: as desert-like and with alluvial soils like all the vineyards of the Argentine foothills, the central difference is that from the point of view of temperatures, the valley is the only cool terroir of Mendoza . For the winemaker Marcelo Pelleriti, from Bodega Monteviejo, it is a “combo climate that benefits the ripening of fruit and preservation of higher levels of acidity, which results in very fresh and lively wines.” For all this, the white varieties pose a separate chapter as both Chardonnay and Sauvignon Blanc are among the main stakes in the area. While in the reds, Malbec stands out for its texture and boldness. Its location close to the mountains, however, hides another secret: a considerable diversity of soils. 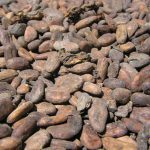 Depending on the altitude and location within the valley and the major rivers, there are soils ranging from deep and stony to clayey with boulders, to the most sought after – for its scarcity – soils with calcium deposits as their distinguishing feature. The Pedernal Valley, meanwhile, is the Sanjuanino equivalent of the Uco. While the altitude ranges from 1200-1400m.a.s.l, the most important difference is its profile of soils: also alluvial, they offer other mineral components due to the pre-mountain range, where it is based, which is older in geological terms. Planted at the beginning of the 1990s, today Pedernal comprises a handful of farms, with barely 700 hectares of vineyards, promising to renew the wine of San Juan. In the words of Eduardo Casademont, winemaker at Finca Las Moras, “wines of this region have very good levels of natural freshness, unlike the rest of the province, with deep colors and more sophisticated structures, ideal for obtaining wines for ageing “ he describes. 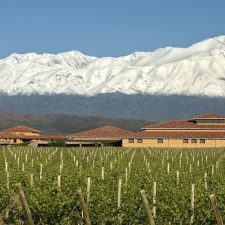 With vineyards located between 600m – 750m high, the temperatures of the plains in Mendoza and San Juan are the key to a style of light and fruity wines: during a summer afternoon, for example, they can easily reach between 35 ºC – 40 ºC. And although at night, they drop, in concrete terms it is a hot area. 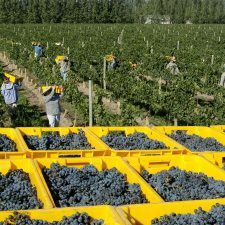 Between them, they have the majority of grape production in Argentina, with 110,000 hectares. 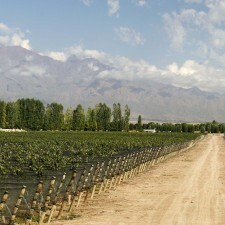 The East of Mendoza is the heart of the provincial wine industry. 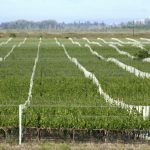 With 80,000 hectares cultivated in this oasis of plains formed by the departments of Rivadavia, San Martín and Santa Rosa, are many of the country’s largest wineries whose production is characterised by their table and bulk wines. The distance to the mountains shows two key differences with the terroirs discussed here. One, the soils are of an aeolian or fluvial origin – that is to say, displaced by wind or by sedimentation of lagoons – and so they are deep, with clay, silt and sand as their main components. The other, the low altitude relative to other terroirs, which brings with it high temperatures. “This condition allows us to obtain high yields, producing jovial and fruity wines,” explains Alejandro Vigil, from bodega Catena Zapata. 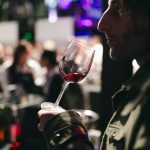 However, some producers are seeking a profile of premium wines and are betting on less acclaimed varieties like Bonarda, the most cultivated red in the region, the real star of esteña viticulture. The Tulum Valley, meanwhile, is to San Juan what the East is to Mendoza. 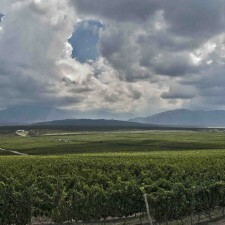 With vineyards concentrated in the departments of Pocito, Albardón, Caucete, San Martin and Sarmiento, covering some 25,300 hectares, which represents just over 50% of the provincial total. With an average altitude of 600m.a.s.l, it forms a plain between two mountain ranges – the foothills and the Sierra de Pie de Palo, – with deep sandy and clayey soils. The variety that performs best is Syrah. Well adapted to hot, extreme weather, it is the emblem of the valley. There it produces ideal wines for the young consumer that, according to Casademont, are “of great fruit intensity, concentrated and fleshy, with a slightly exotic profile and a friendly palate of sweet and soft tannins.” While in the whites, the Torrontés Sanjuanino, with its own characteristics in respect to that of the Riojano: fragrant and with good presence in the mouth, it is used for many everyday white wines.